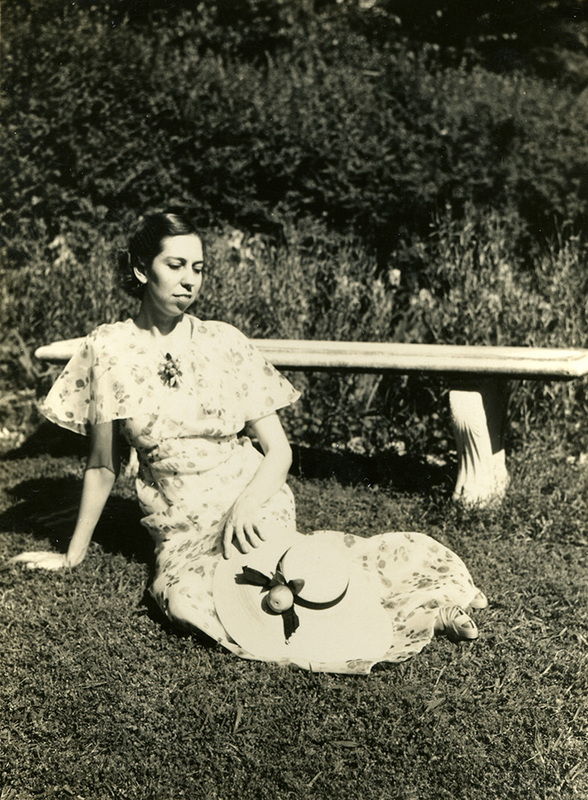 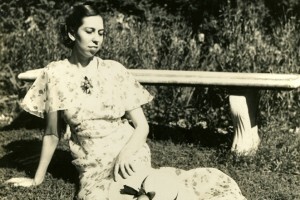 Eudora seated in front of garden bench, 1930s. Clubhouse in Woodland Garden built by Edward and Walter Welty. 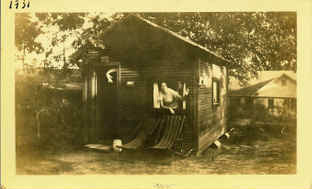 Eudora and her friends often gathered in clubhouse to act out scenes from plays. 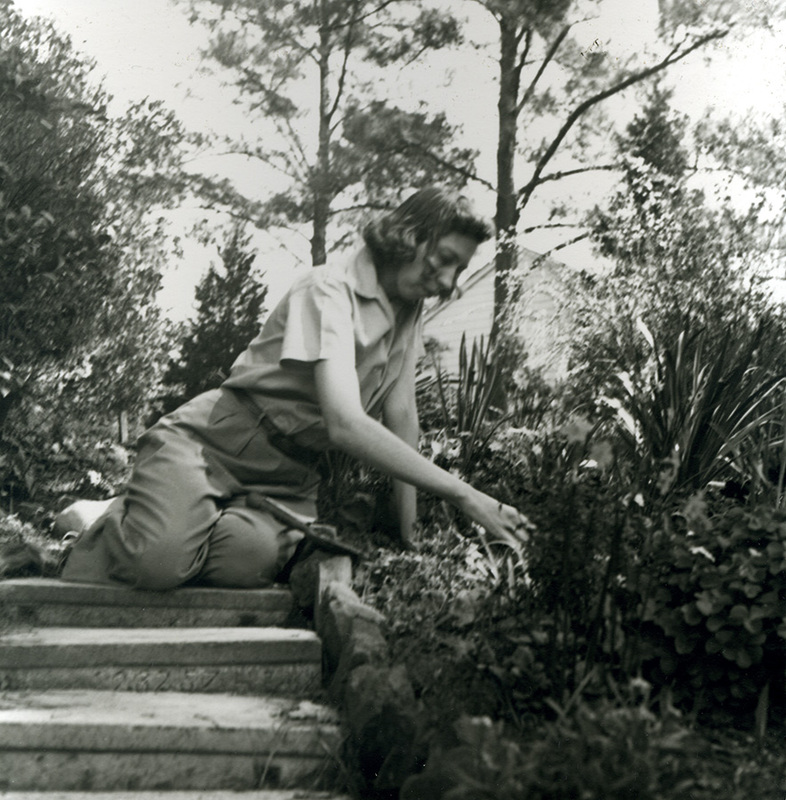 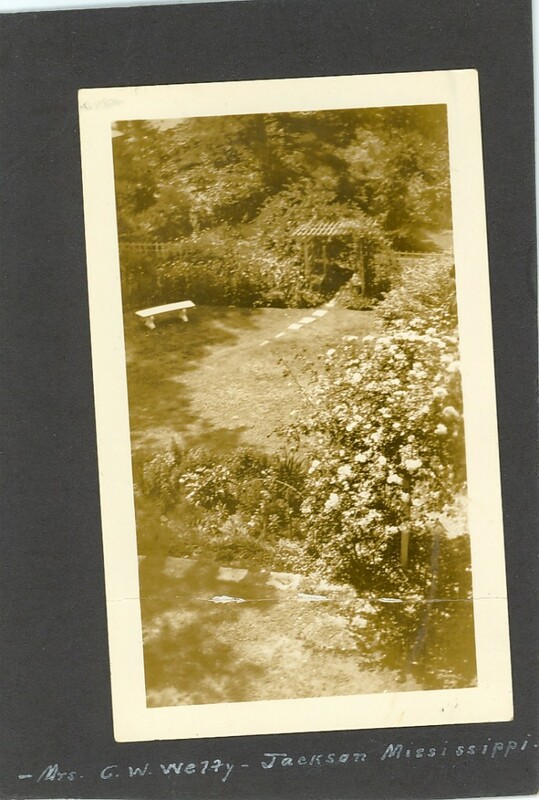 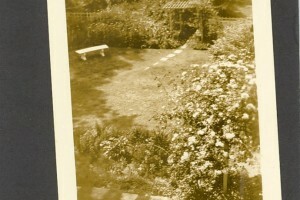 Eudora weeding on steps leading into upper garden, 1940s. 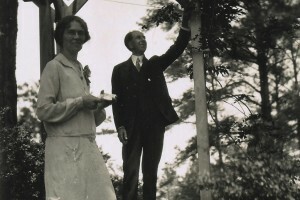 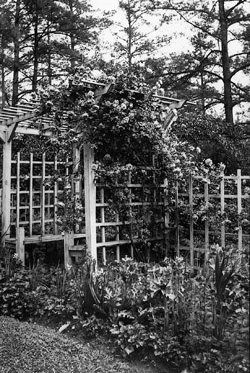 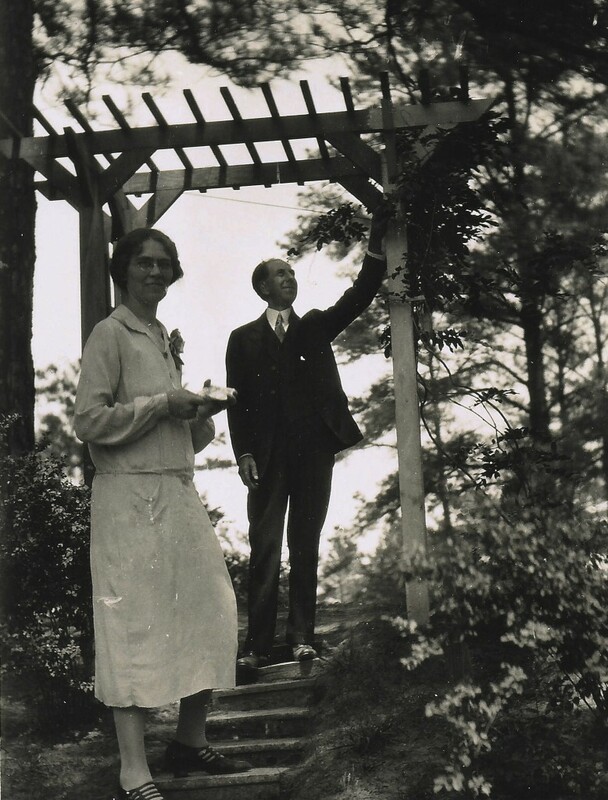 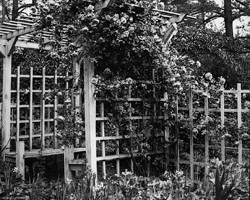 Chestina and Christian Welty standing under the garden arbor, 1920s. 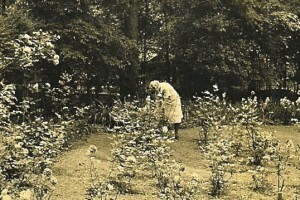 Chestina working in Rose Garden. 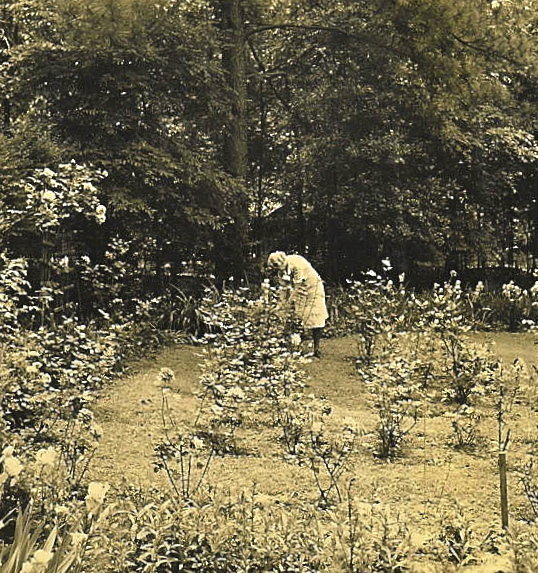 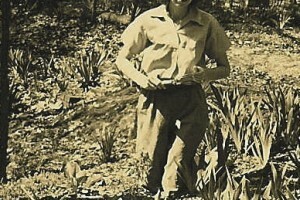 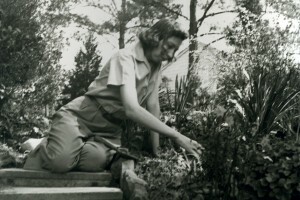 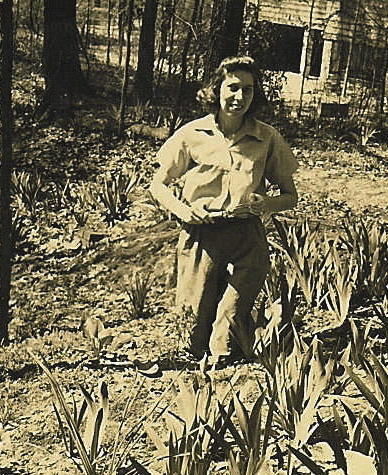 Eudora kneeling among irises in the Woodland Garden, 1940s. 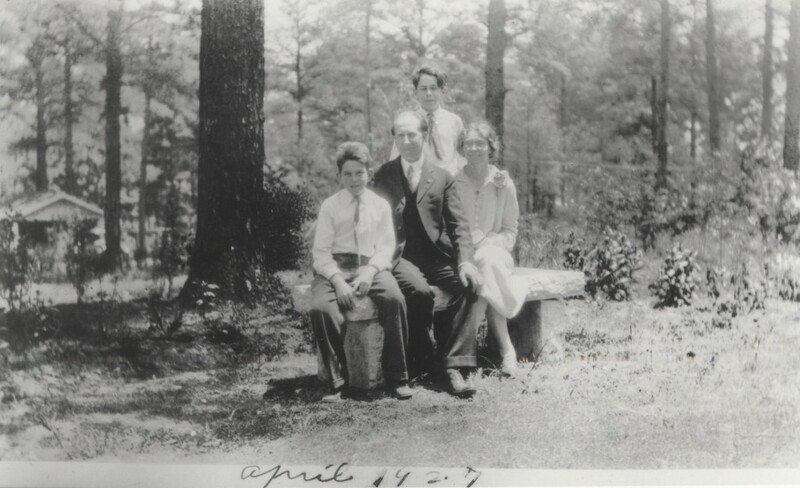 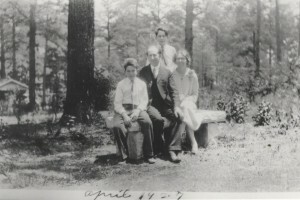 Walter, Christian, Edward, and Chestina sitting on garden bench in front side yard, 1920s.